In four short years, Patreon has enabled thousands of gamers to take their journalism, podcasts, and channels to the next level. It’s proven a popular alternative to the whims of Google’s “adpocalypse”—though Patreon’s had a few bumps of its own along the way. 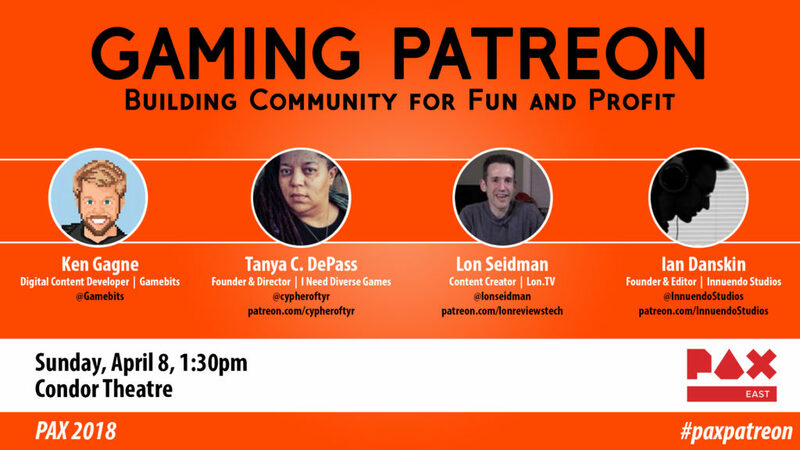 On the PAX East 2018 panel "Gaming Patreon: Building Community for Fun and Profit", I chatted with three Patreon creators to learn about their crowdfunding strategies, setting effective goals and rewards, building a community, and how artists and patrons can steel themselves against potential changes to Patreon’s model.